PYEONGCHANG, Republic of Korea, Oct 14 2014 (IPS) - The remarkable biodiversity of the countries of the Caribbean, already under stress from human impacts like land use, pollution, invasive species, and over-harvesting of commercially valuable species, now faces an additional threat from climate change. On the sidelines of the 12th Conference of the Parties of the United Nations Convention on Biological Diversity (COP 12) being held here from Oct. 6-17, Saint Lucia’s Biodiversity Coordinator Terrence Gilliard told IPS that his government understands that biodiversity and ecosystem services underpin sustainable development. But he said climate change is having an impact on biodiversity of the island nation. “There have been reports of coral bleaching occasioned by higher sea temperatures and there has been a lengthening in the productive season of some agricultural crops,” said Gilliard, who also serves as sustainable development and environment officer. Though less than 616 square kms in area, Saint Lucia is exceptionally rich in animals and plants. More than 200 species occur nowhere else, including seven percent of the resident birds and an incredible 53 percent of the reptiles. 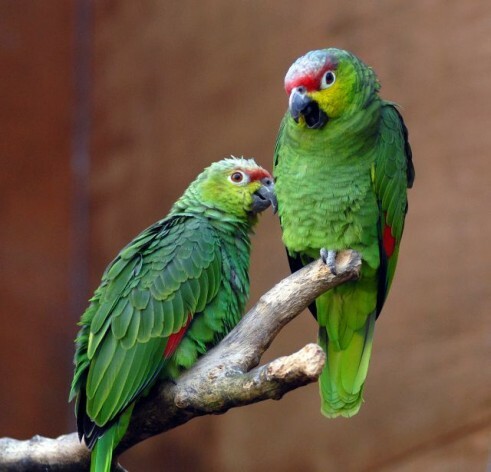 The nation’s best known species is the gorgeous but endangered Saint Lucia amazon parrot. Other species of conservation concern include the pencil cedar, staghorn coral and Saint Lucia racer. The racer, confined to the 12-hectare Maria Major Island, is arguably the world’s most threatened snake following recent increases in numbers of its distant relative in Antigua and Barbuda. The Antiguan racer, a small, harmless, lizard-eating snake, was once widespread throughout Antigua, but became almost extinct early this century, hunted relentlessly by predators such as mongooses and rats. As of 2013, the population size was 1,020. Helena Brown, technical coordinator in the Environment Division of the Ministry of Health and the Environment, said there are at least two conservation programmes in Antigua where the racer and another critically endangered species, the hawksbill turtle, are being conserved. “There is a lot of work being done there but that’s just two species out of many. Our biodiversity is important for our health, our status, our attractiveness as a country and it is important that we conserve it and use it in a sustainable manner that it is there for generations to come,” Brown told IPS. According to Jamaica’s National Environment and Planning Agency (NEPA), ecosystems on that island most vulnerable to climate change impacts include coral reefs, highland forests, and coastal wetlands (mangroves). With more than 8,000 species recorded, Jamaica is ranked fifth globally for endemic species. The Caribbean island has 98.2 percent of the 514 indigenous species of land snails and 100 percent of the 22 indigenous species of amphibians. Jamaica’s rich marine species diversity include species of fish, sea anemones, black and stony corals, mollusks, turtles, whales, dolphin, and manatee. In addition, nearly 30.1 percent of the country is covered with forests and there are 10 hydrological basins containing over 100 streams and rivers, in addition to several subterranean waterways, ponds, springs, and blue holes. For Saint Kitts and Nevis, where biodiversity is described as “very important to sustainable development,” the effects of climate change are not highly visible at this point. “More time will be needed to observe some of the subtle changes that are observed. For instance, in some cases there seems to be longer periods of drought which are impacting on the natural cycles of some plants and also on agricultural crops,” the director of Physical Planning and Environment in the Ministry of Sustainable Development, Randolph Edmead, told IPS. Saint Kitts and Nevis is pursuing tourism development as its main economic activity, and many of the country’s tourism-related activities and attractions are based on biodiversity. These include marine biodiversity where coral reefs represent an important component. Edmead said coral reefs also support fisheries which is an important source of food. “The income generated from these activities not only supports development but also is important for sustaining livelihoods,” he explained. Forest biodiversity also forms an important part of the tourism product of Saint Kitts and Nevis. Ecotourism activities which are based on organised hikes along established trails are engaged in regularly by tourists. “Biodiversity also helps to protect soils from erosion which is not only important for agriculture but also in the protection of vital infrastructure,” he added. 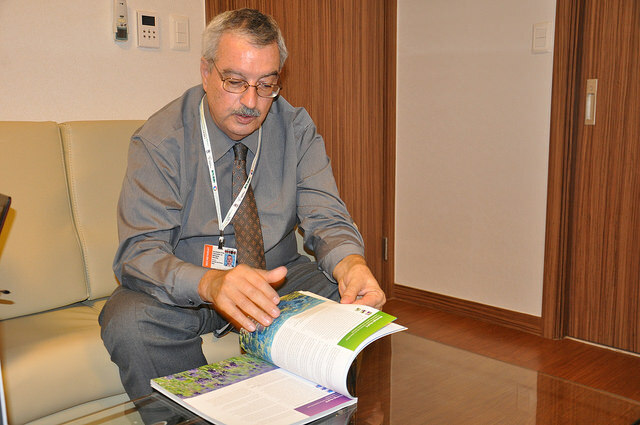 Executive Director of the United Nations Convention on Biological Diversity (CBD) Braulio Ferreira de Souza Dias told IPS climate change is a main threat to biodiversity and he urged progress at the U.N. Framework Convention on Climate Change (UNFCCC) COP scheduled for Dec. 1-12 in Peru. “The threats to biodiversity continue. But where do these threats come from? They come from public policies, corporate policies and other factors that come from the socio-economic sector. These are population increase, consumption increase, more pollution, climate change. These are some of the big drivers of loss of biodiversity,” said de Souza Dias. But de Souza Dias is also putting forward biodiversity as part of the solution to the climate change problem. He suggested that better management of forests, wetlands, mangroves and other systems can help reduce greenhouse gas emissions. “We can also enhance adaptation because adaptation is not just about building walls to avoid the sea level rise impacting coastal zones. It is about having more resilient ecosystems that can resist more the different scenarios of climate change,” he told IPS.